Comcast won the rights in a bidding war for the rights to Sky, a TV giant in Europe. The overseas win will have an impact here at home. Comcast outbid Fox by $3.6 billion in a three-round auction process. The result follows an elongated bidding battle between two of America's largest media companies over coveted overseas competitor Sky. Comcast outflanked Twenty-First Century Fox in a $39 billion takeover of British broadcaster Sky on Saturday, submitting a much higher bid in a three-round auction that pitted two of America's largest media companies against one another. The U.S. cable giant outbid its rival by $3.6 billion, offering £17.28 (over $22 per share, according to current exchange rates). Rupert Murdoch's Fox offered £15.67 (over $20) per Sky share, according to an official statement from the Takeover Panel. This follows a protracted bidding battle between Comcast and Fox over the coveted overseas competitor. The blind auction format is a highly unusual one for a deal as closely watched as the Sky acquisition. Takeover auctions are normally reserved for commercial transactions. In such auctions, bidders submit sealed offers to a third-party arbiter. 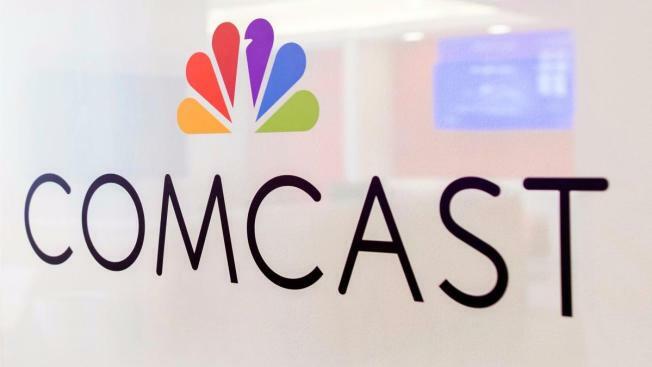 A person close to the process told CNBC Saturday that Comcast wanted to ensure the company had paid enough of a premium over Disney's bid to sway shareholders inclined to go with Fox/Disney, based on their existing 39 percent stake in Sky. Meanwhile, a separate source familiar with Comcast's thinking told CNBC they expect Comcast to begin talks regarding Disney potentially selling its Sky stake to Comcast. The latter could also sell its 30 percent stake in Hulu, an American online entertainment service, the source added. According to Reuters, Brian L. Roberts, chairman and chief executive officer of Comcast applauded the decision and said the acquisition will allow Comcast to "quickly, efficiently and meaningfully increase customer base and expand internationally." "We now encourage Sky shareholders to accept our offer, which we look forward to completing before the end of October 2018," Roberts said. According to Reuters, Comcast is seeking to make market purchases of Sky shares. A spokesman for Twenty-First Century Fox declined to comment on the outcome. After months of back and forth, the deal entered a one-day bidding process that involved three rounds. According to sources, familiar with the matter, bids in round one and two were "significantly lower." Another source told CNBC that Comcast executives thought there was a decent chance Fox was simply bluffing and didn't actually want Sky at all. But bidding £15.67 per share suggested Disney did, in fact, want Sky. Otherwise it would have bid much lower in Round 3, the source said. Now that the bidding has closed, both Fox and Comcast will be required to make an announcement of their revised offer for Sky by Monday. The firms must then release a formal offer document on or before Thursday. It is then down to Sky's board and shareholders to accept either offer, the deadline for that being October 11. While Comcast has emerged as the winner with the highest final offer, the new owner won't be confirmed until the shareholders of Sky shareholders which offer to accept. "Attention now quickly turns to integration with minimal impact on the business. However, you have to expect some cost cutting measures," Paolo Pescatore, an independent tech, media and telecoms analyst told CNBC via email. "There are significant growth opportunities in Europe. The combined entity will be a considerable force," Pescatore said. "Sky and its customers will benefit from being part of the wider group, access to more services, products and features, financial security to some extent to bid for key costly premium content rights — in particular sports which is arguably the company's prized asset with the Premier League." Rupert Murdoch's Fox, which itself is set to be bought by Disney for $71.3 billion, has gone back and forth with Comcast, each time upping its bids for the U.K.'s Sky several times. Disney's acquisition of Fox would have given the entertainment titan all of Fox's entertainment assets — which include a 39 percent stake in Sky. Comcast's Brian Roberts earlier said he views Sky as a "unique asset," while Disney's Bob Iger called the British broadcaster the "crown jewel" of Fox's television and movie assets. Sky is seen as an important asset by the American firms because it's a major European pay-television company, with almost 23 million subscribers across the continent. It has increased its presence in digital media and so-called over-the-top (OTT) entertainment, which means content streamed to users over the internet. With the rise of TV and video streaming platforms such as Netflix and Amazon Prime, U.S. media corporations see consolidation as a way to fend off digital competition. Sky's share price steadily rose ahead of the auction and surged as high as £15.96 ($20.86) on Friday. Prior to the auction, Comcast's highest offer for Sky was £14.75 a share ($19.28), while Fox's highest offer trailed behind at £14 a share ($18.30).